To celebrate the Immortal Perfect Rocket Glory Leadership of chubby dictator slug Kim Jung-un, North Korea threw itself a parade. 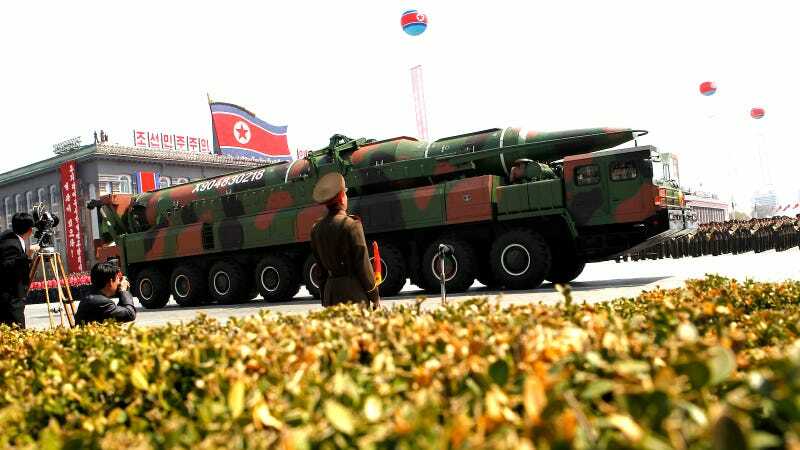 Unlike, say, the Thanksgiving Day Parade, this one was mostly goose-stepping soldiers and new weapons, including a fat new ICBM. Seemingly undeterred, among the rockets rolled out, according to some locals, was one that had never been seen before. We noticed that it was big (needing a 16-wheel truck to carry it) and pretty thick.